A spare part is a part that can be interchanged and is kept as an inventory which can be further used for repairs of units that are not in working condition. They are an important aspect of supply chain management and mastermind engineering. Capital spare parts are those that have a long life with very less chance of failure. The shutdown of capital spare pare would take a long time for its replacement. The spare parts are the outcome of the huge industrial development of replacements part and bulk production. If we observe, there is a difference in the cost of ordering a replaced part and the cost of replacing a part that is not working. If the cost of repairing goes higher than the cost of the replacing the part, then it is economical to replace the failed part instead of incurring the repairing cost. Repairable parts can be repaired rather than being completely replaced. They are designed to be modular and require affordable maintenance. This enables the spare parts to be easily removed, repaired and replaced at a cheaper cost. Spare parts that cannot be repaired are called consumable. They are available at a lower cost and in large volumes. The automobile industry in India has indirectly led to the rise of automobile spare parts industry in the country. India is gradually becoming an outsourcing destination on an international level for manufacturing different automobile components. Cheap labour and ready availability of raw materials make India cost competitive. Leading global automobile component manufacturers operate from India. It manufactures world-class quality automobile spare parts. IPO’s are established in India by both spare parts manufacturers as well as automobile makers. There are different types of automobile spare parts available. For example, gears, nuts, bolts, auto electrical parts, brakes, engines, fuel lines, supports, etc. some of the essential spare parts are explained in brief. Engine: Among all the automobile parts, engine is an essential component for the smooth functioning of an automobile. There are different types of engines in different vehicles, such as 3 stroke, electrical engines, 4 stroke cylinder engines etc. Drive axle: It is an essential spare part as it mobilises the vehicle by transferring power from the transmitter to the tyres of the automobile. It receives this power from its engine. Gearbox: The gearbox has two categories namely automatic and manual. In the modern world, most cars have automatic gearbox which is more convenient in comparison to manual. Brakes: It is a very important spare part as without it your vehicle won’t halt. Brakes are applied so that it can slow down the automobile. Oil filters: The oil filter does the work of filtering the motor oil which is used to lubricate the internal parts of the automobile. This filtered then goes to the engine. 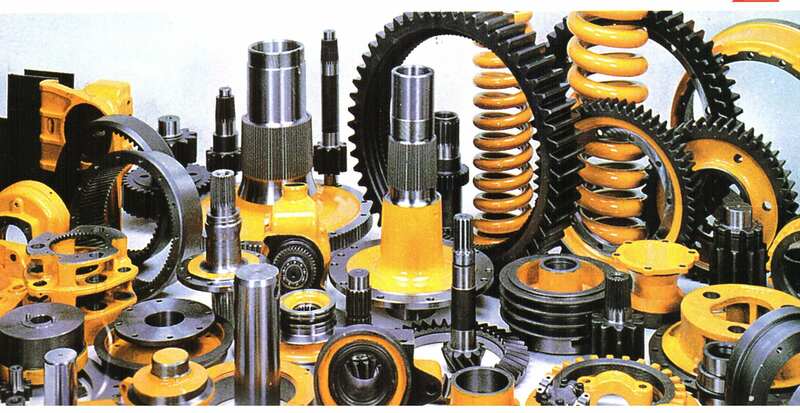 It is very important to make use of good quality automobile spare parts as it aids in your safety and security. Low quality and cheap spare parts are not made as per the industry standards and specifications. Such products lead to frequent repairs. They also cause damage to the essential components of your vehicles like the engine, moreover damaging the vehicle. This increases your maintenance and repair cost. Duplicate or fake parts have very bad effects on the automobile. They increase the risk of accidents. It has also been found that these counterfeit or duplicate spares are certified and look as if they are original so one must be careful before replacing their automobile spare parts. If you want the same performance of your vehicle, as it was at the time when you bought it, then use reliable and good quality spares which enhances the life of the automobile and optimizes the engine’s performance. You must buy from suppliers who have a good reputation in the market, industry experience, and expertise in manufacturing automobile spare parts. This entry was posted in Automobile Spares and tagged automobile spare parts on September 25, 2017 by dtsdev.